Twitter is the best social platform for instant branding of your personality, blog, site, service or business; whatever you are in. Be it for promoting your local business or online service, you need it the most to connect with your customers. With carefully planning and right strategy you can achieve that. Is it a set of complex steps? No… rather unimaginably easy but yes need focus and time. Let’s have a look. Profile is the foremost thing on which the visitors will recognize you. Add your profile details and don’t write long bio; just include your key details. Make your profile interesting which will compel other users to peep into your profile. Participating actively will empower your profile and will put an optimistic effect on your followers. It will reveal your genuineness and will become a two way communication. So, tweet or post on regular basis. Twitter offers only 140 characters for a single tweet and you’ve to be very careful to choose truly unique words so that users bound to click on the shared link for more info. The message of your tweet has equal importance as that of a title tag in search engine result page. It is one of the most important aspects in which people mostly lack behind and commit mistakes. You need to discover the best time to tweet to make your tweet visible in your followers list. This will increase your visibility and help to get traffic. People are really hungry for FRESH and QUALITY information. Let yourself be a resource of such things and ultimately they will start following you rather than your competitors. You can mention others by using the format @Twitter Username. With mentions, a message is sent to the said profile. So it can be used while doing re-tweeting and replying. Using it properly can increase the conversation as well as impression & hence CTR of your shared links. # tag is very useful in bringing more impression. 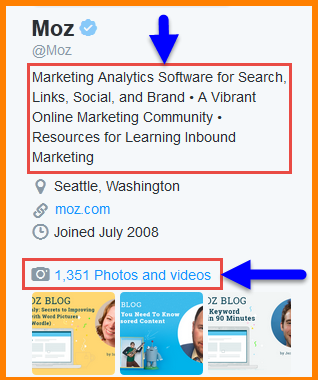 This is possible as # tag aka search tag will make your tweet or post visible in Twitter search. 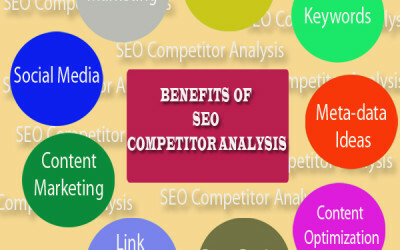 Try to use this tag with important keywords as much to draw attention of more users. Don’t just wait for others to retweet and favorite your tweets. Do retweet and favorite others’ tweet so that they would take you seriously and try to engage with you at a personal level. But do it genuinely. Great way to start relationship building/branding in Twitter. There are a lot of fake profiles through which people just want to build their followers list. So whenever someone try to connect with you, study that profile and check whether it is a genuine request or fake one. Twitter is all about activity. So never be lazy! Try to share great links or messages on daily basis. An inactive profile discourages others to connect with you. Be quick to reply as soon as someone message you or retweet or favorite your tweet or mention you. This shows your alertness. People tend to follow highly active profiles. Now we shall dig into the discussion on what are the sources of fresh data collection in Twitter. Follow a good and natural brand from which you can get fresh data and be the first one to tweet it. 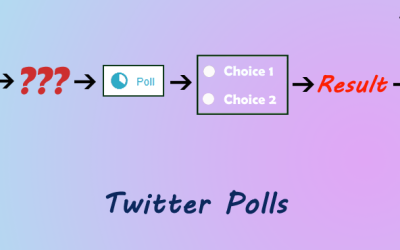 This will help you to increase your followers list; maximum users will RT and favorite your tweet. Not only brand but also you can follow its blogs, favorite it and tweet them too. But the blogs must be informative and fresh. You can also follow news sites and go for recent news updates and tweet them. For instance, Yahoo news, bbc.co.uk, etc. There are different platforms where users share new data like inbound.org in internet marketing niche. Find them and collect fresh information. If you are in search of valuable data visit Google and click on search tools, click on “any time” like past 12 hours or last 1 hour and you will be able to view the results related to your query in that particular interval. No need to sign in every time. No need to open browser to access Twitter. Single click access from desktop. Major features like home, notification, messages, activity on a single view that can be customized to add other features like to view mentions or favorites or followers etc. Twitter Analytics is a must for you to analyze how your activities are contributing to your brand promotion and let you plan accordingly. Twitter users can get a detailed statistics on their followers, tweets and replies, impression, clicks and engagement. But analytics are provided to the users who have at least 14days old twitter account. Twitter analytics dashboard scenario contains 4 different sections: Tweets, Followers, Twitter Cards and Tools with a drop down option. The tweet activity dashboard demonstrates graphically the number of times your tweets displayed in other users timeline precisely known as Impressions. It views your daily impressions for over 28 days which is by default but later you can change it. 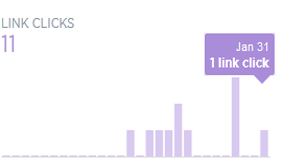 Below the graph displayed a timeline of all your tweets with number of impressions, engagements and engagement rate. ENGAGEMENT: – Engagement simply means the sum of reply, mention & retweet/favorites. 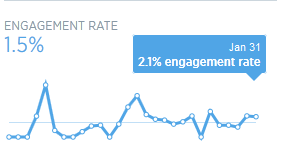 ENGAGEMENT RATE: – It is number of engagements divided by the number of impressions. At the right column of the page you can see the average engagements rates, favorites, re-tweets and replies and link clicks. Briefly, it makes you understand the impact of your tweet activities in Twitter. Buffer is an amazing tool but conditions applied; should be used correctly otherwise can be ultimate spam bot. When used correctly, it will counterbalance your time for all social activities/accounts; increase your involvement and traffic. It schedules your tweets and manages your content you want to update in your twitter stream. It provides free account to manage your social activities Twitter, Facebook (page or profile), and LinkedIn accounts but limited up to 10 updates. It allows you to customize your updating schedule and create your own buffering patterns over the weekend. Installing buffer-app will help you to re-tweet using the button “buffer retweet”. It is available everywhere with apps, extensions and extras. With these information and tools anyone can get sure success in Twitter. I’m not saying these are the only steps; everyone has their own strategy & planning. If you would like, please do share your branding strategy in Twitter in comment section.